SPRINGFIELD, Mass. – The HoopHall Classic here at Springfield College wrapped up on Monday night and included a disappointing loss for #6 DeMatha Catholic as the Stags fell to top-ranked La Lumiere 70-53. 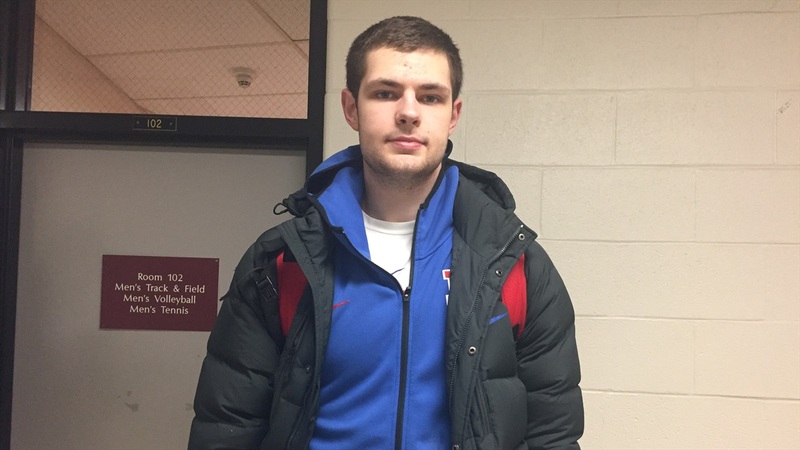 DeMatha’s five-star 2020 center Hunter Dickinson as he finished with just four points, but he did do an admirable job defending 2019 five-star Isaiah Stewart, who finished with 14 points. “My shots weren’t falling tonight,” Dickinson acknowledged. “It was tough to see and tough to play through. I’m just proud of my guys, the way we fought back and never quit. We’re going to come back. Dickinson has been one of Notre Dame’s top recruiting targets in the Class of 2020 for years now and the junior standout took an official visit to South Bend during the fall. Irish head coach Mike Brey and associate head coach Rod Balanis are both DeMatha grads along with current Irish guard DJ Harvey, so there’s a huge connection there. “Coach Brey is cool with me,” Dickinson said. “He’s not trying to overwhelm with recruiting pitches and stuff like that. He’s still in touch, but he’s not over in touch, so that’s good. In addition to those relationships, Dickinson likes the vibe of the Irish program. Dickinson also took an official visit to Purdue and has some others in mind, including one coming up. “I’m trying to get to Michigan after the season,” he said. “I’m scheduled for a visit with Kentucky next weekend. Many of the trips may have to wait until the end of the season given his classroom and basketball schedule. But that’s fine with him as he’s not going to rush a commitment.